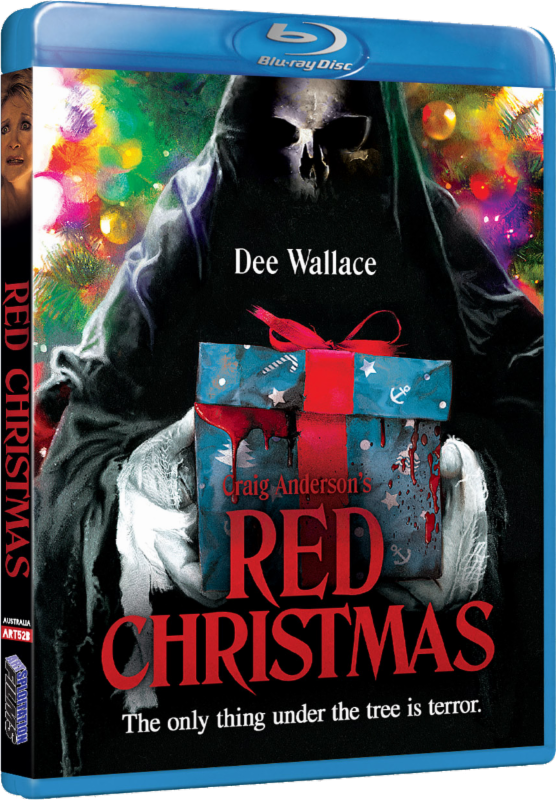 Artsploitation Films sets the Dee Wallace-starring ‘Red Christmas‘ under the tree October 17th. That’s their line, my thing is this movie is perfect for Halloween AND Christmas. I say treat it like ‘The Nightmare Before Christmas‘ and watch it both holidays, and any other time you damn well feel like it. The film will be available nationwide on Blu-ray, DVD and VOD. This Australian horror film is the directorial debut for television director and actor Craig Anderson (‘How Not To Behave‘). He combines the banal horror of family gatherings with the issues of abortion, feminism, ethics, religion and privacy, with a blood-splattered twist on what happens when secrets refuse to stay dead. Following a theatrical rollout across the United States, ‘Red Christmas‘ will be available nationwide October 17th on Blu-ray, DVD and Digital HD, including iTunes, Amazon Instant Video, Google Play, Vudu and more. Dee Wallace (‘The Hills Have Eyes‘, ‘The Howling‘, ‘E.T.‘,’ Cujo‘, ‘Critters‘) stars as the stressed-out mother of a squabbling family, gathered together in a remote Outback estate on Christmas Eve. When a mysterious, deformed young man named Cletus appears at their door, things soon change from petty insults to bloody, imaginatively orchestrated violence as Wallace attempts to protect her family from the vengeful intruder. The film deliriously infuses comedy, dark family secrets with outlandish gore and adds the always controversial subject of abortion in its blood-stained mix. This entry was posted on Saturday, September 30th, 2017 at 1:24 pm	and is filed under Film, News. You can follow any responses to this entry through the RSS 2.0 feed. You can skip to the end and leave a response. Pinging is currently not allowed. « Film Review: ‘American Made’!